When I say it's been rainy here in Houston, I don't know how to emphasize how rainy it has been. But alas, it's Hurricane Season. 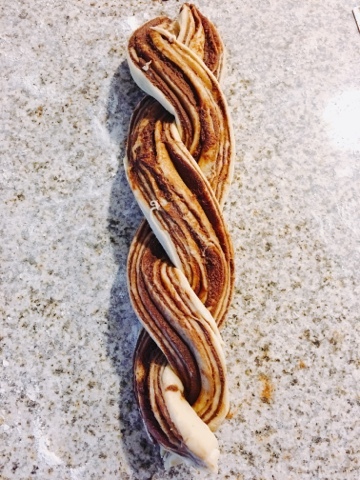 And since I'm still on a summer vacay for a few weeks, I decided now was the best time to dive head first into making homemade babka--and it made for the perfect rainy day project. 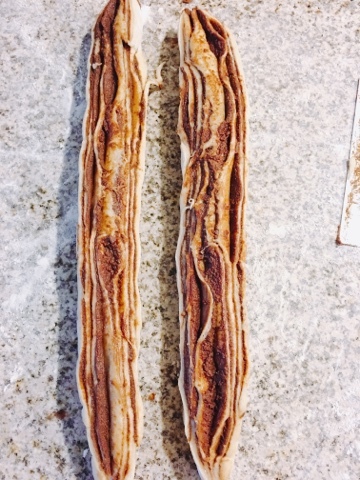 After having probably the best babka ever from Russ and Daughters in NYC in June, I wanted to attempt to bake some. The Goal: make a moist, gooey, chocolatey yeasted bread also known as babka, ala Russ and Daughters. 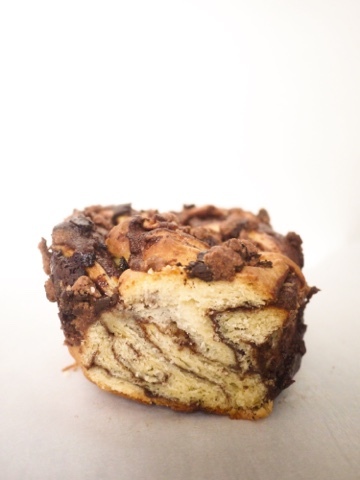 Babka: I was first introduced to babka from afar while watching Seinfeld almost two decades ago. 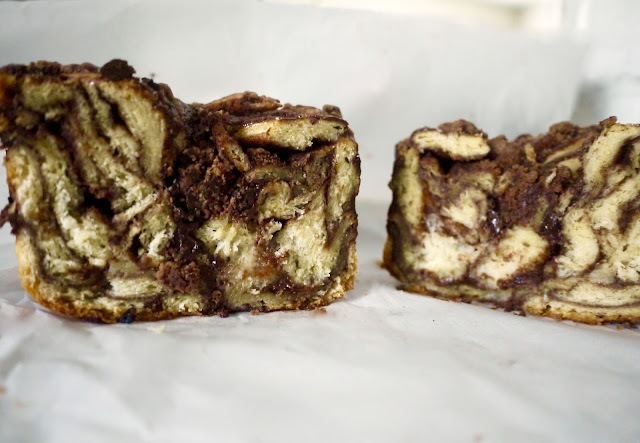 Elaine and Jerry had their hopes set on getting a chocolate babka for a dinner party and spent most of the episode in the bakery--which also featured the black and white cookie. Fast forward to last year when I finally tried my first babka at Trader Joe's when they were handing out free samples (which is delicious, btw). 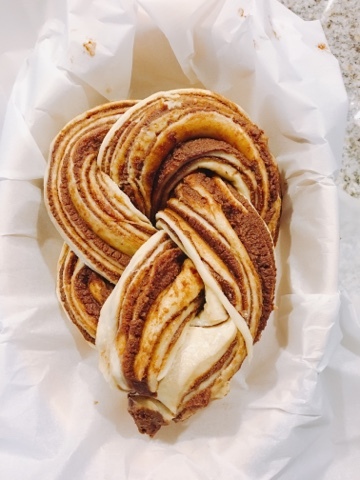 Babka makes for the perfect rainy day(s) project because you have to wait for rising times and the filling and the topping need to be made in addition to the dough. But with a little patience and maybe a good show to binge on while waiting during the rising times, the babka comes together beautifully. 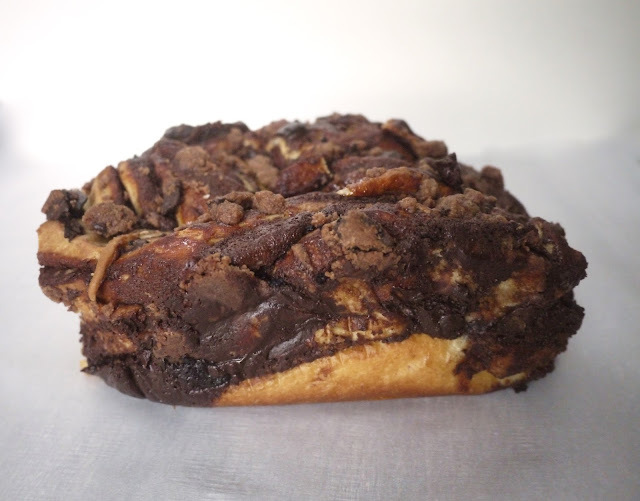 The Recipe: I used this Chocolate Babka recipe from Melissa Clark in the NY Times. The accompanying video was also super helpful (especially with the braiding) and pretty entertaining (I want to be her new bff). Also, this recipe makes 2 loaves--one or both can be freezed for later consumption. Number of rising periods: 3 and they range from 1 hour to overnight. There is also a 10 minute waiting period for the dough to chill in the freezer after rolling the filled dough. Room Temperature Ingredients: 4 eggs and 10 tbs butter for the dough and another stick of butter for the chocolate filling. Prep ahead! Components That Can Be Made Ahead: the filling and the streusel topping can be made at least 3 days in advance. Tips: Spread a thick layer of filling onto the dough to achieve ooey gooey layers. The Results: a moist, fudgy, chocolatey babka with a hint of citrus. I'd say my first attempt was a success although not quite at Russ & Daughters level. Thanks, Melissa Clark!